That’s exactly what I thought when I found this post from Healthy Body Now: Regrowing vegetables over and over again basically means free food! And as blogger MK Morris pointed out, these are the perfect veggies to have on hand in case of a zombie apocalypse. Whether you’re preparing for the end of the world or simply want to stretch your grocery budget a bit further, here are a few of the veggies you should regrow — plus, a look at how much this practice could help you save. Also known as green onions or spring onions, these are the perfect topping for an enchilada or loaded baked potato. When you’re chopping your scallions, leave about an inch of stalk above the roots. 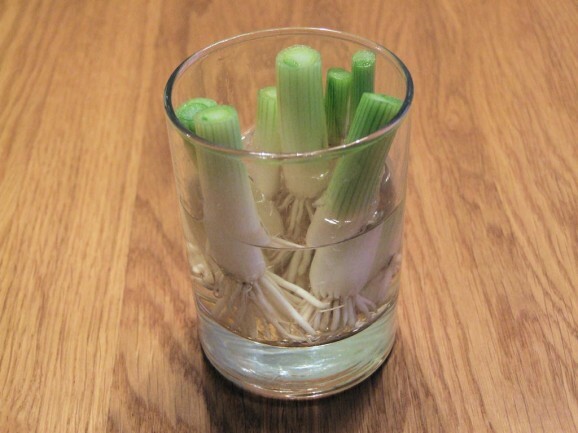 Put the baby scallions in a small glass with just enough water to cover the roots, and set them in a well-lit place, like a sunny windowsill. Change the water every day or two, and you’ll have new scallions after about 10 days. Savings: About $0.79 per bunch. Cut your bok choy off about two inches above the root end. Put it into a small container of water until it starts sprouting, and then transfer it into a pot or your garden to continue growing. Savings: About $0.70 per head. Clip leaves from a basil plant, leaving about three or four inches of stem, and put them in a glass of water. Each stem will start growing roots, and once those roots are two inches long, you can transplant the new plant to a pot. Enjoy fresh basil all year long! Savings: About $2.50 for a 1-ounce package. Cut the stump off your head of lettuce about three inches from the base, and put the stump in about half an inch of water. After a couple of days, you’ll see roots and new leaves developing. 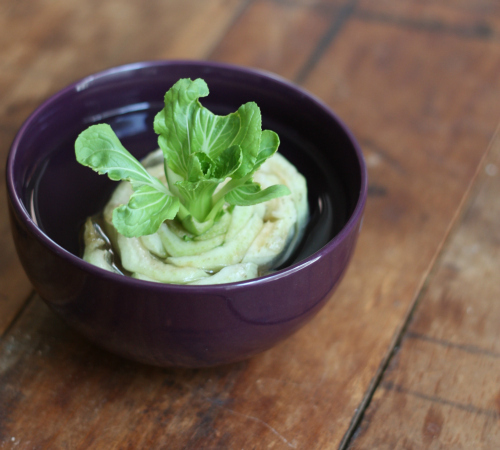 Transfer your new baby lettuce to a pot and watch it grow — then repeat the cycle. Savings: About $2.50 a head. 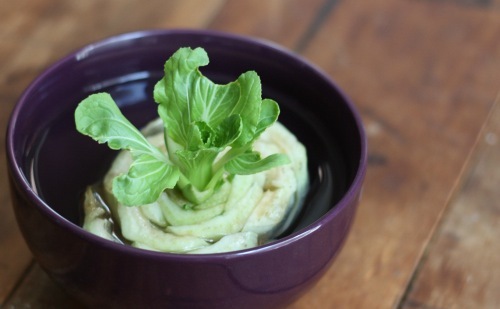 Want to see the other vegetables you can regrow? Read the full post from Healthy Body Now. 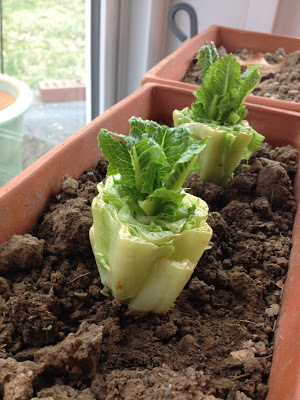 Your Turn: Do you regrow vegetables? How has it worked for you?